The Dailey Method is a unique combination of ballet barre work, core conditioning, stretching and orthopedic exercises which, when practiced regularly, strengthens and tones women’s bodies like no other workout. 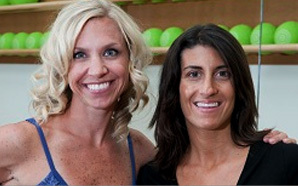 Tami Conway and Leann Kurtzweil acquired a Dailey Method franchise, but needed assistance in obtaining financing and operating a successful business. In March 2011 they attended a SCORE workshop on financing options and subsequently began counseling with SCORE counselor Mitchell Morris. Mitch helped the two women refine their business plan, develop a cash flow projection and get financing.